525,600 minutes: How do we measure our year? This year contained 12 months; 52 weeks; 365 days; 8,760 hours; 525,600 minutes. It also contained about 1300 visits to the Passaic Neighborhood Center for Women, with October seeing the most visits (208) and January seeing the fewest (40). The year witnessed about 1200 volunteer hours served by 25 volunteers (including 15 women religious, 8 college students and 2 lay women who were not college students). 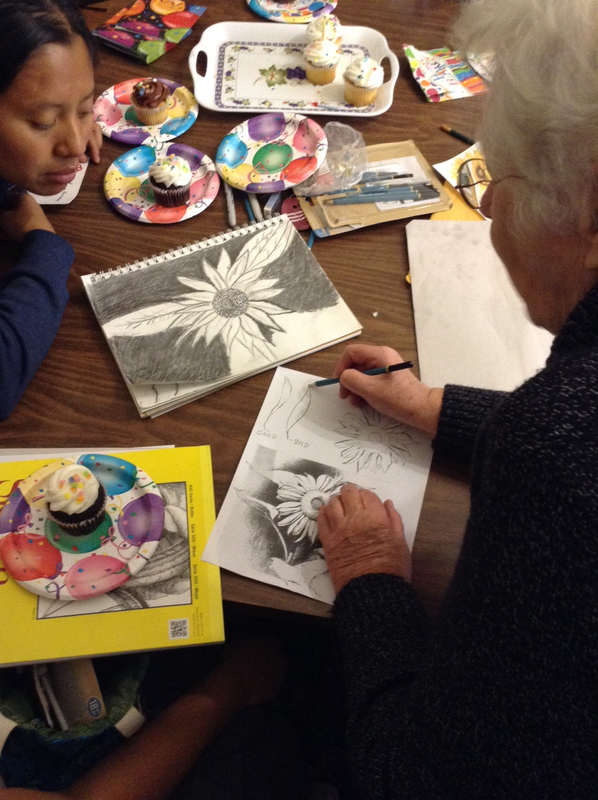 During the year, our women had the opportunity to participate in 7 different classes or projects: English, quilting, art, computer, gardening, ladies' night, and first anniversary preparations. During any given week of the year, 6 different sections of English classes were taught. The year saw a truly collaborative first anniversary celebration on September 24. As we ring in 2015, we are immeasurably grateful to those of you who have made this possible by your love, prayers, service, donations and other contributions. We wish you innumerable blessings during the new year. The times we have said this are too numerous to count, but we cannot say it enough: "Thank you and God bless you." 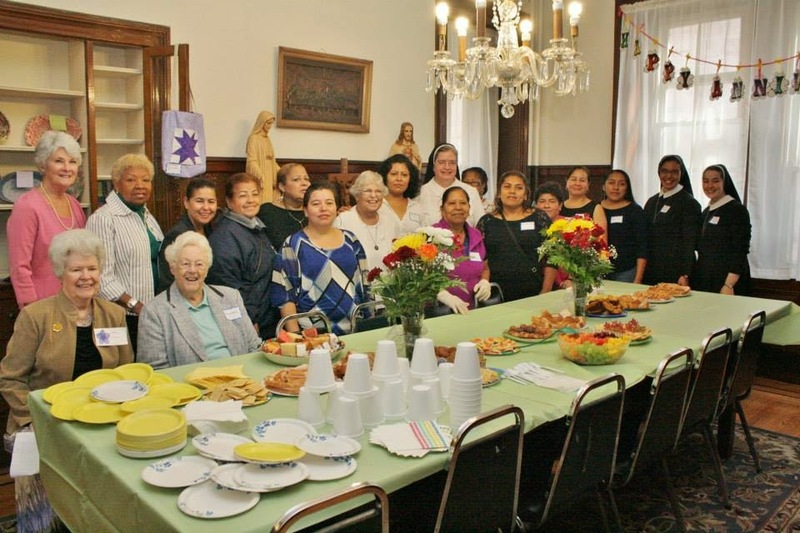 Just as the Holy Family was created and sustained by God who often conveyed messages in dreams, the Passaic Neighborhood Center for Women is a family that exists because of God and dreamers. 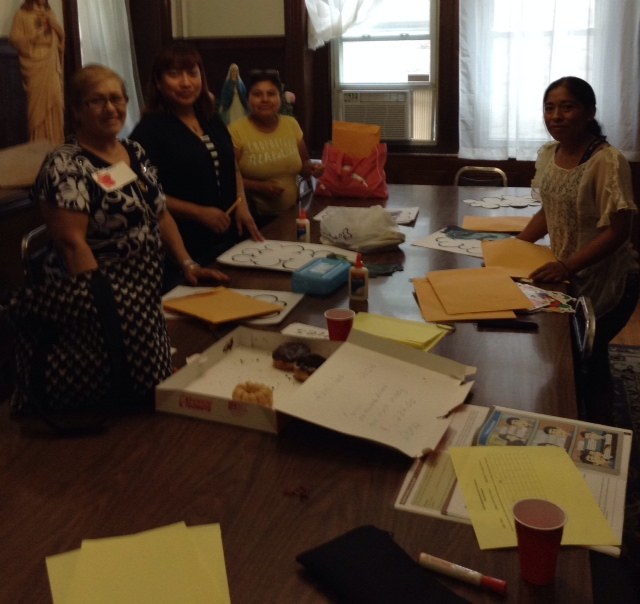 Led by the dreamers who followed God's call to open a women's center in Passaic, our "holy family" of women, staff, benefactors, religious communities and the Diocese of Paterson has been created and sustained for 15 months. As we approach the beginning of 2015, we are grateful for the opportunity to continue to do what we do and we pray for everyone who supports us in this ministry. From our family to yours: Thank you and God bless you! On this Thanksgiving 2014, we are grateful for the support of Bishop Serratelli and everyone in the Diocese of Paterson. We are grateful to the religious communities whose spirit of collaboration and prayerful, material and human resources enable us to open our doors each day. We are grateful to our staff, whose untiring love of the women of Passaic bears fruit each day. 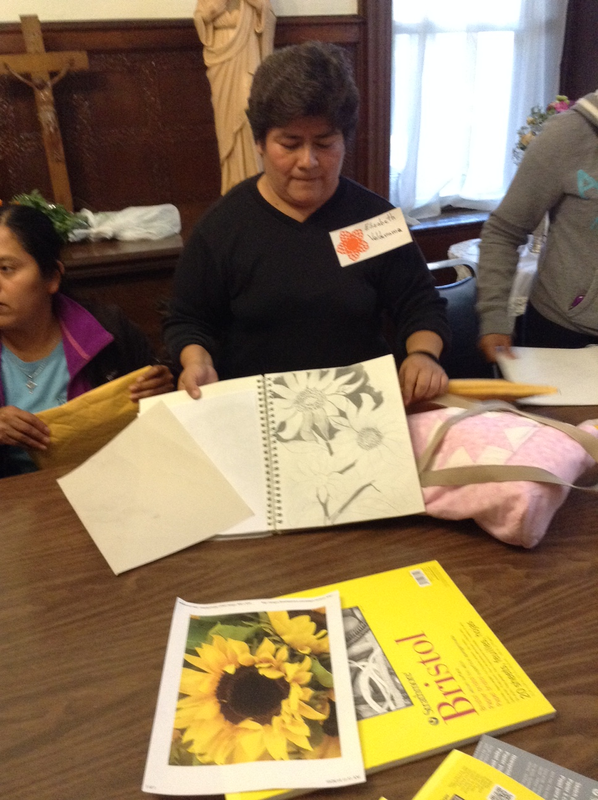 We are grateful for the women who continue to grow and become empowered at the Passaic Neighborhood Center for Women. Click here to view a slideshow that gathers together a few recent highlights. This morning in Passaic, it is 28 degrees Fahrenheit. Yes, on November 15, it is 28 degrees outside. The National Weather Service tells us that the record low for this day, set in 1996, was 20 degrees Fahrenheit, so we're not that far from the record. 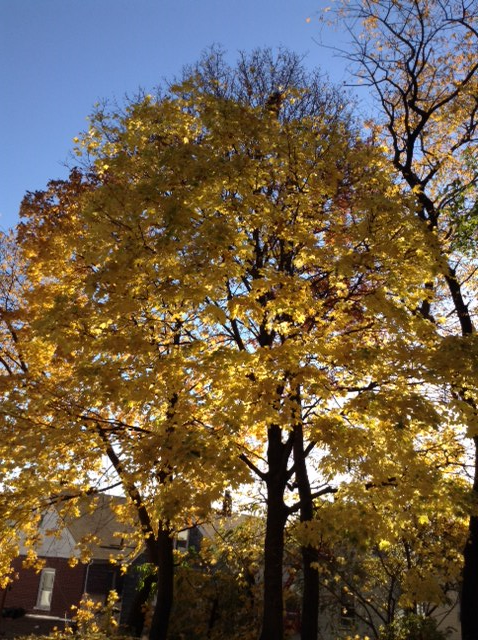 There are two trees in the yard that have just this week turned from green to vivid, flaming yellow. How enjoyable that transformation has been to watch! However, due to the unseasonably low temperatures this morning, their leaves are dropping like snowflakes -- just hours after they reached their peak colors. As I watch this happen, listen to the sound of the leaves breaking away and hitting the ground, and feel the leaves as they fall on me, I am struck by the detachment that is a natural part of creation. That is, it is time for the leaves to fall, so they fall. Anything else would be unnatural. What do these trees teach me today? That God is in charge, that it's OK to let go and that acting as if God were not in charge or that it's not OK to let go would be unnatural. How appropriate these teachings are for our ministry at the Passaic Neighborhood Center for Women! God is in charge: There is no way to sustain this ministry without the day-to-day, minute-to minute realization that, in doing this work, we are instruments of God. We might weather unseasonable highs and lows, joys and sorrows, births and deaths, healing and illness -- and God is in all of it! 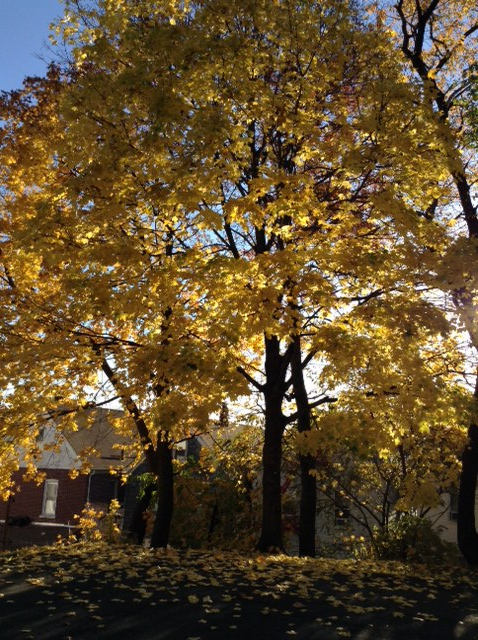 It's OK to let go: As much as we want to enjoy the flaming yellow leaves a bit longer, we are reminded that God's ways are not our ways and God's time is not our time -- and thank God for that! The only way that new growth can occur in spring is for leaves to fall in autumn. Secure in the knowledge that it's OK, we let go of those things that hinder us from personal and communal growth -- the regrets, resentments, stubbornness and arrogance -- and we cling to the hope that new life will emerge from this detachment. Acting otherwise would be unnatural: There would be something very wrong with a tree that is meant to shed its leaves in the fall failing to do so. Similarly, attempting to play God or falsely convincing ourselves that attachment is healthy is counterproductive to growth. We might wish that it were otherwise, but it just wouldn't be natural! Wow! In October we were blessed with 205 visits from our women! This is 60 more than our previous largest total of visits (June 2014). We've had over 1,300 visits since opening our doors! 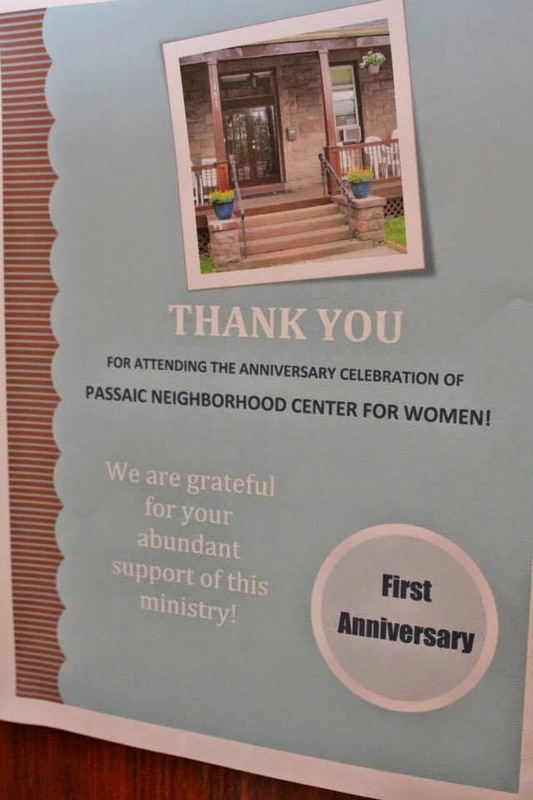 Thank you to our staff, volunteers, benefactors and all who continue to support the Passaic Neighborhood Center for Women. Indeed, four women attended the first evening and 16 attended the last evening. 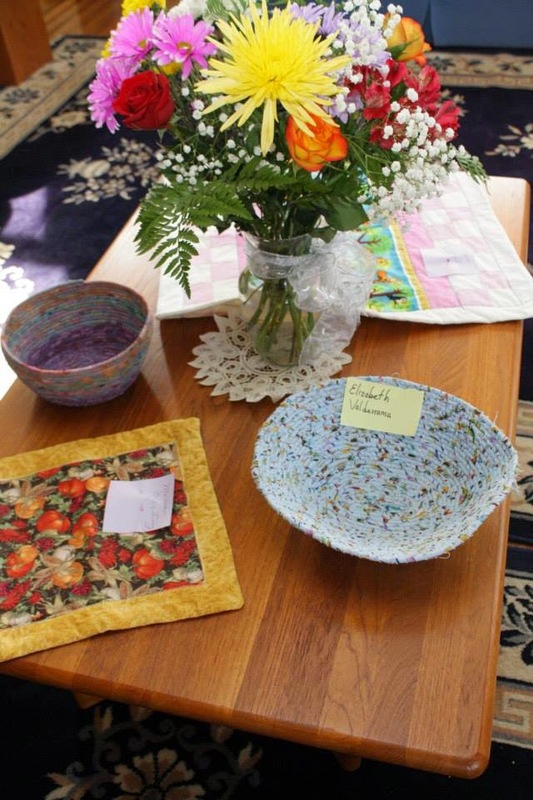 At their meeting, the women gave stirring testimonies of how they have been positively affected by their experiences of God through each other this year. We are grateful to Miriam Rodriguez, whose vision and tenacity brought this event to fruition. We look forward to welcoming these women back in 2015! As always, we are grateful to all the folks at The Beacon, the newspaper of the Diocese of Paterson, NJ, for their terrific coverage of the Passaic Neighborhood Center for Women. Click here to read Cecile San Agustin's article about our first anniversary celebration. Happy Anniversary . . . and Thank You! 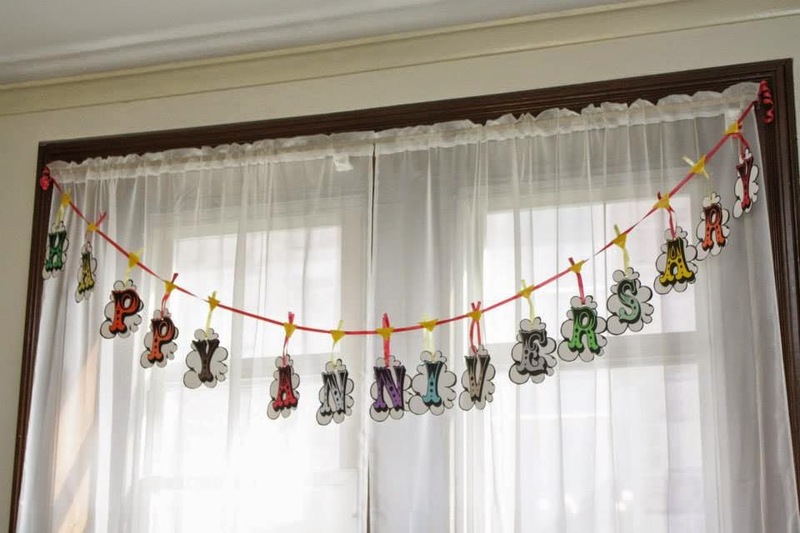 We are ever so grateful to have celebrated our first anniversary. Lots has happened between September 24, 2013 and September 24, 2014! 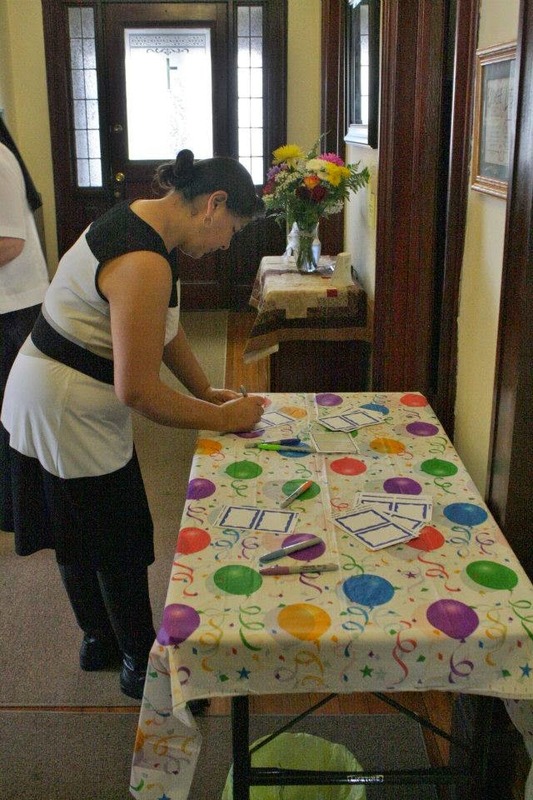 Thanks to all who made this anniversary celebration possible, especially to our Associate Director, Sister Elaine, who led the committee of women who pulled off the celebration. This link will take you to a slideshow of some photos of the day. However, the day became so lively that not too many photos were taken! 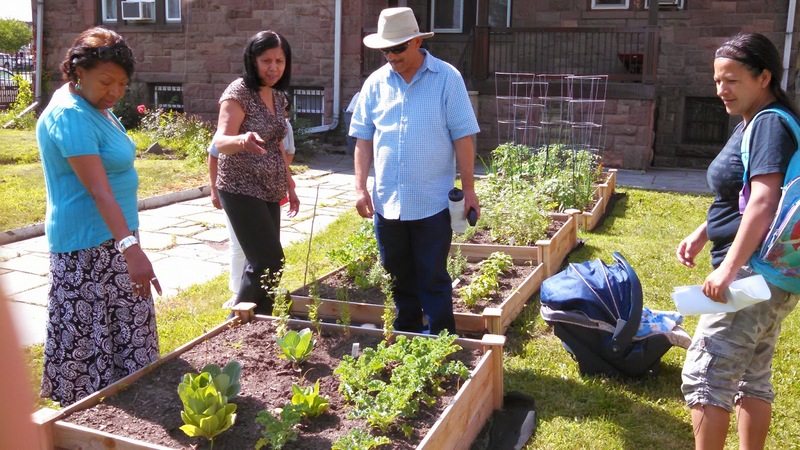 Our Garden in "Reporte Hispano"
Several weeks ago, Gery Vereau visited to take photos in the garden of the Passaic Neighborhood Center for Women. We are happy to be able to provide the link for "Reporte Hispano," in which Gery's article is published. We are extra happy that the article includes a photo of Claudia Urdanivia of City Green, in our garden. We are grateful to Claudia and everyone at City Green, who have been so instrumental in the success of our garden this year. Click here to view the article. We also congratulate City Green on the occasion of its 10 year anniversary. May you have many more! Great Day for a Garden Workshop! Becoming our "Best Tomato Selves"
Today, we celebrate the diversity of our crops! Note that we are not celebrating the differences of our crops, but their diversity. Semantics? Not really. 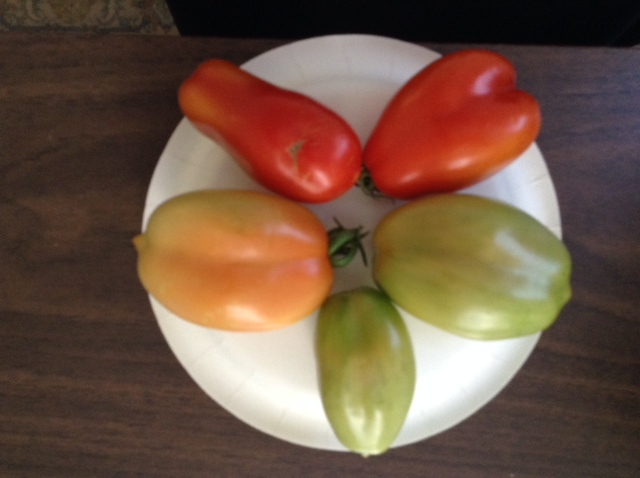 Look at this photo representing some of our plum tomatoes in various stages of ripeness. They are all the same "type" of tomato from the same vine, so they are very much alike. However, they are also decidedly different from each other in shape, size and color. I am told that these tomatoes make delicious sauces. That is, although they can be eaten individually, they are their best "tomato selves" when their similarities and differences are blended together into one tasty sauce. The end product is a robust, savory celebration of diversity. 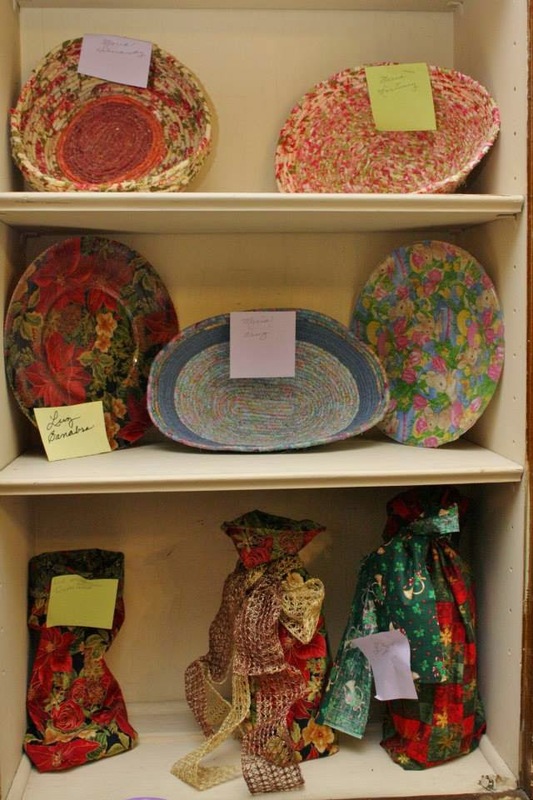 The Passaic Neighborhood Center for Women is like the pot in which the sauce is prepared. Various interconnected "ingredients" comprise the sauce. The visioning of the religious communities and the bishop provided the recipe. 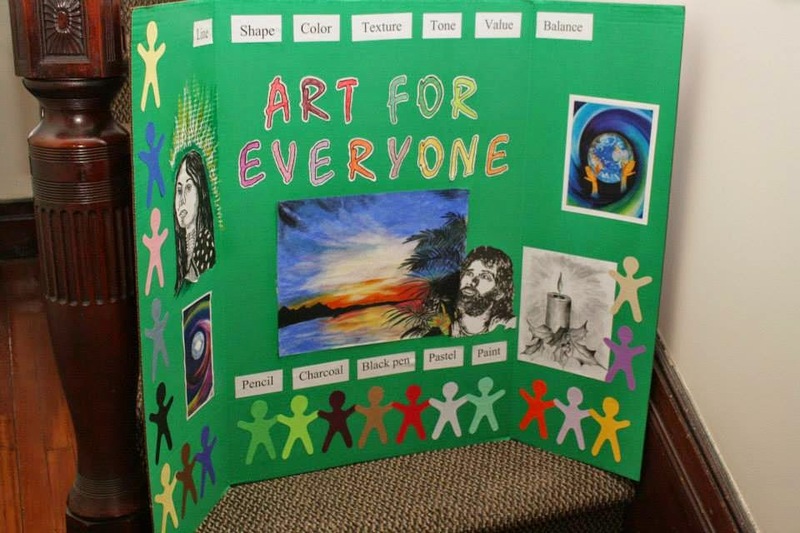 Diocesan personnel, Partners in Faith, religious communities and other benefactors gave the vision its base. 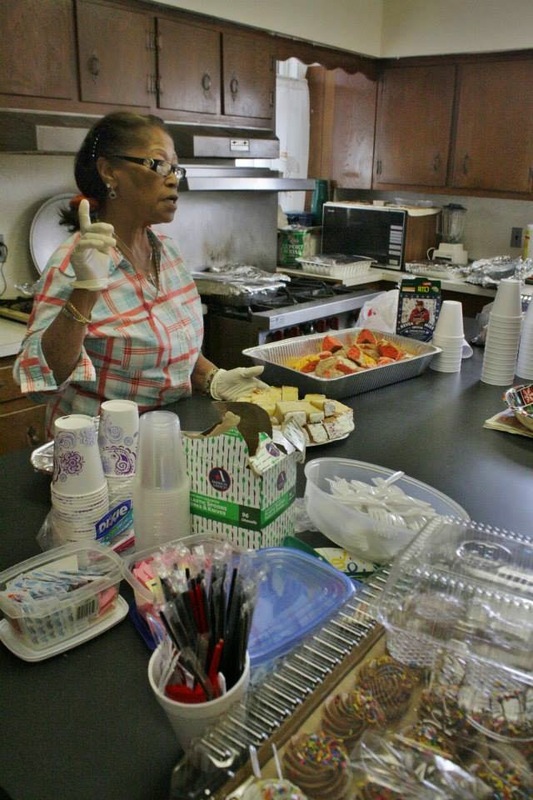 The staff of the Center and women of the neighborhood -- all of various ethnicities, age groups, socioeconomic backgrounds, shapes and sizes -- continue to flavor and transform the base into a ministry. The end product is a robust, savory celebration of diversity. In both instances mentioned above, the whole is much greater than its individual parts and the individual parts are strengthened and empowered by being a part of the whole. In his Letter to the Romans, St. Paul wrote, "We, though many, are one body in Christ and individually parts of one another" (12:5). It is safe to say that St. Paul did not have tomatoes in mind when he wrote to the Romans, but that does not prevent us from making that connection centuries later! Today, as we strive to become our "best tomato selves," we are grateful for the diversity that provides this mission and ministry with its robust, savory flavor. We pray for the grace of openness toward different people, customs and viewpoints that will continue to transform and strengthen this ministry into the future and build up the body of Christ. 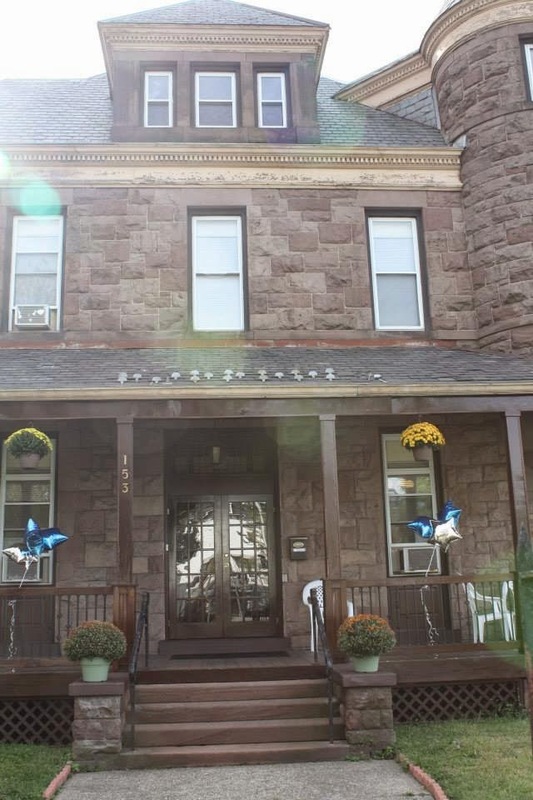 The Passaic Neighborhood Center for Women exists to provide a safe, peaceful, welcoming place where women can become empowered by sharing their needs and being connected to the relationships and resources to fulfill their needs. This is the mission we keep in our sight every single minute of every single day. 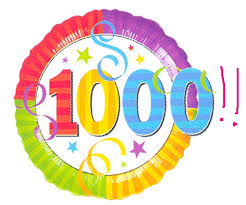 While our mission is not about numbers, statistics or accounting, it is very nice to be able to tell you this: On Tuesday, August 5, we reached the 1,000-visit mark since opening our doors. Our team of women, staff and volunteers made this possible! Our diocese, religious communities, parishes and other benefactors made this possible! We are grateful to be able to continue to do God's work in the city of Passaic. We are happy to share this news with you. Please click here to read a wonderful blog post by Claudia Urdanivia, one of our "garden angels" and Program Operations Manager at City Green. 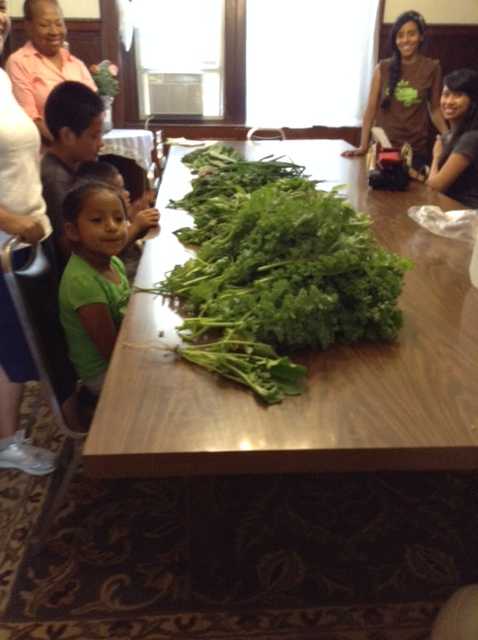 We are so fortunate to be working with Claudia and everyone at City Green in our first small attempt at urban farming! 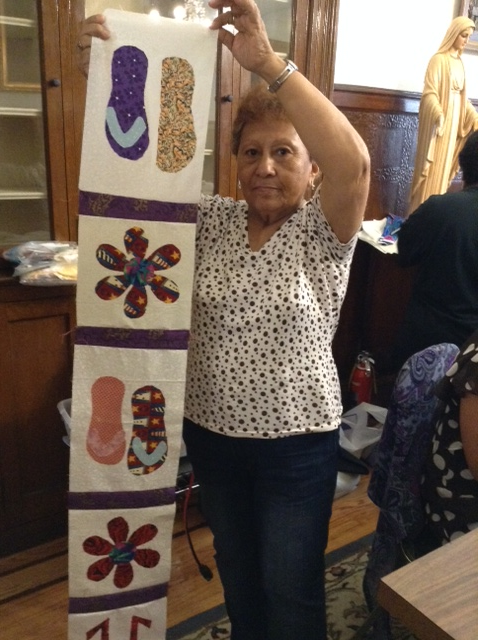 This is one of many collaborative efforts that blesses the ministry of the Passaic Neighborhood Center for Women. "Green Thumbs in the City"
Thanks to Cecile San Agustin and everyone at The Beacon for the front-page coverage of our gardeners -- "Green Thumbs in the City." Click here to read the article. 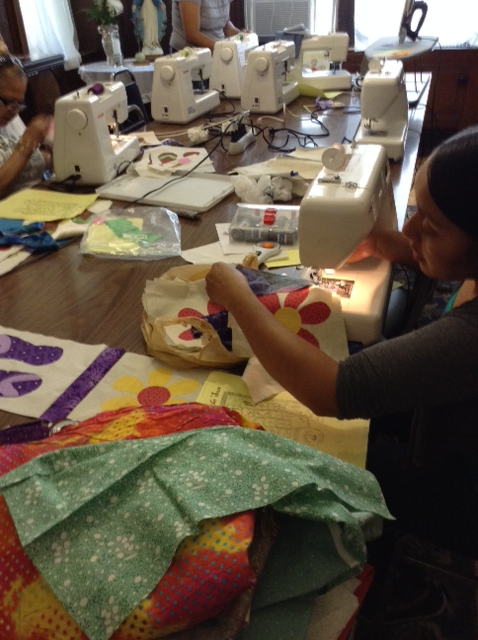 Although summertime bids us to slow down a bit, the programs at the Passaic Neighborhood Center for Women continue throughout the summer months. 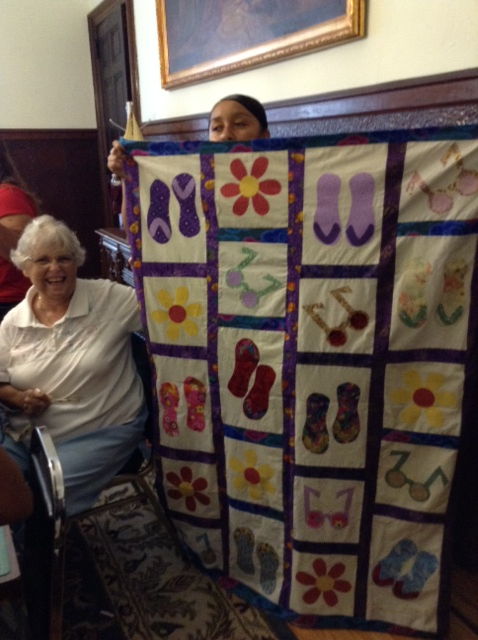 On Tuesday, a few more quilters completed their summer project, "Fun in the Sun." 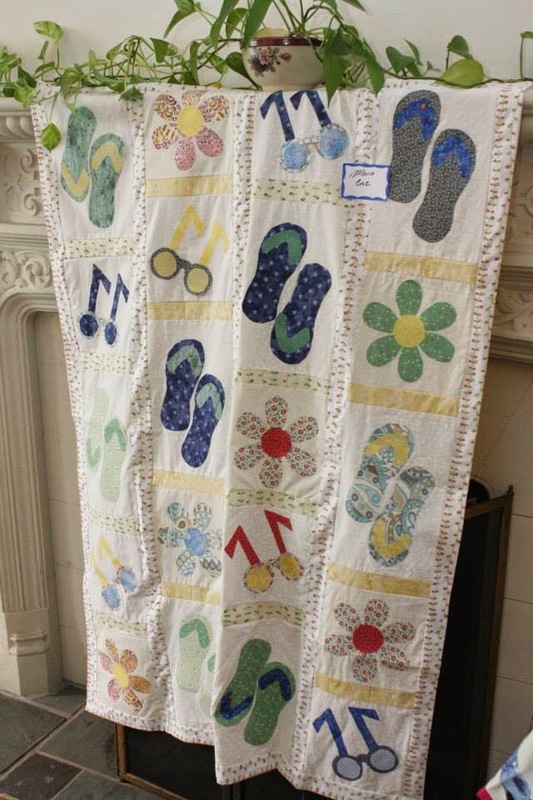 As the quilters wind down their summer projects, they will be gearing up to begin their outreach projects in the fall, which will consist of devoting one class per month to making pillow cases for children in pediatric oncology wards, small pillows for postoperative care of breast cancer survivors and small quilts for newborns in neonatal intensive care units. (Please contact us if you'd like to donate toward this cause.) 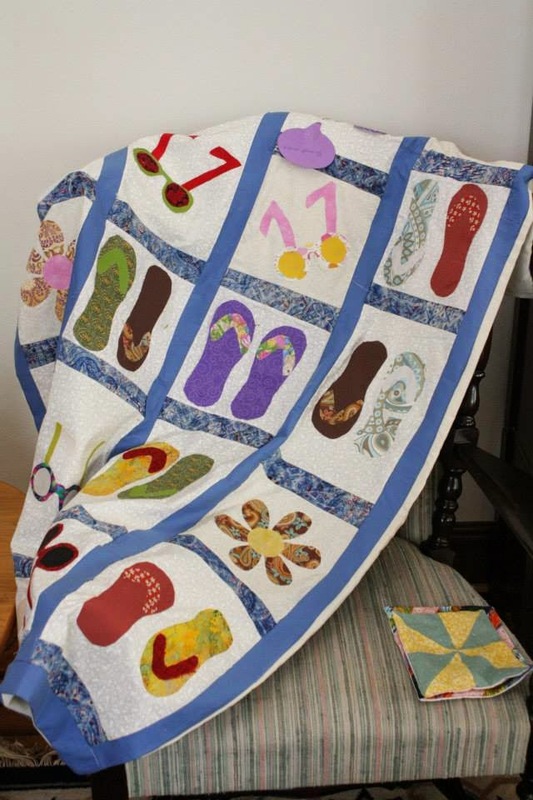 Of course, they'll also begin their holiday quilting projects! On Wednesday, our gardeners harvested together, with the help of Claudia from City Green and Sister Mary Irene, who has assisted the women to coordinate the project. We also welcomed Cecile San Agustin, a reporter for The Beacon, the newspaper of the Diocese of Paterson, NJ, who took photos of the garden and gardeners and will write an article for an upcoming issue of the newspaper. In this photo, you see a collection of the herbs and vegetables before the women divided them among themselves. We look forward to reaping the benefits of the tomato plants and to planting a few more crops in August. We also hope that the success of this year's garden will spark more interest for next year. 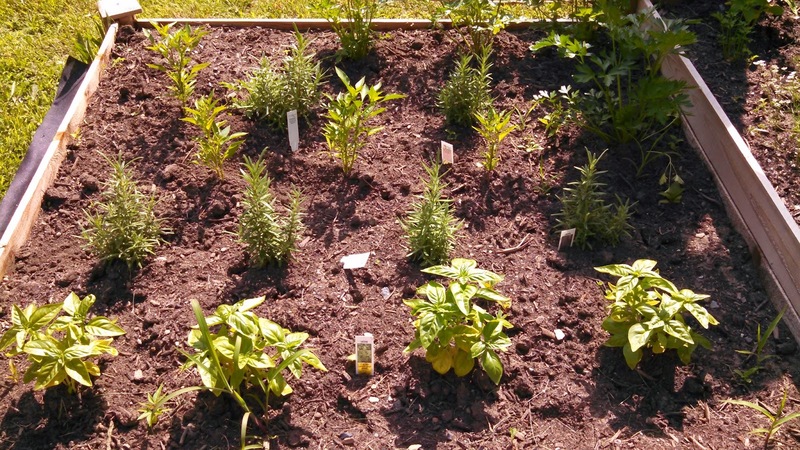 Click here to go to City Green's new blog, which will provide more information about the great work done by that organization (and where you'll also see a photo of the garden at the Passaic Neighborhood Center for Women). On Thursday, we continued preparations for our first anniversary celebration. Here you see some of the women who cut out the letters that will decorate our front fence to announce "Happy Anniversary." 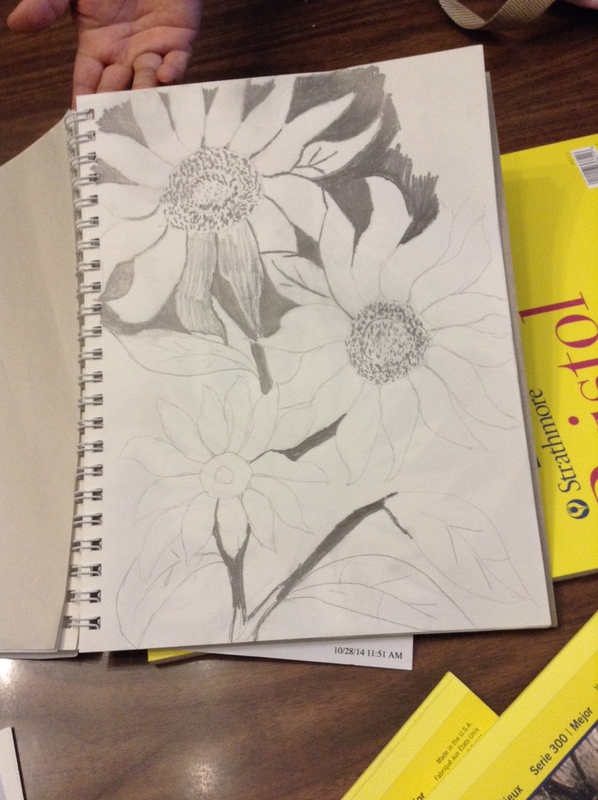 We look forward to so much: Beginning a new English class on August 4, welcoming the 1,000th visit by our women (which will occur sometime in August) and beginning our art class in October. These are just a few of many "happenings" that will occur between now and the end of the year. Stay tuned for more. Thank you for being a part of this collaborative journey! Thank you, Council of Catholic Women! 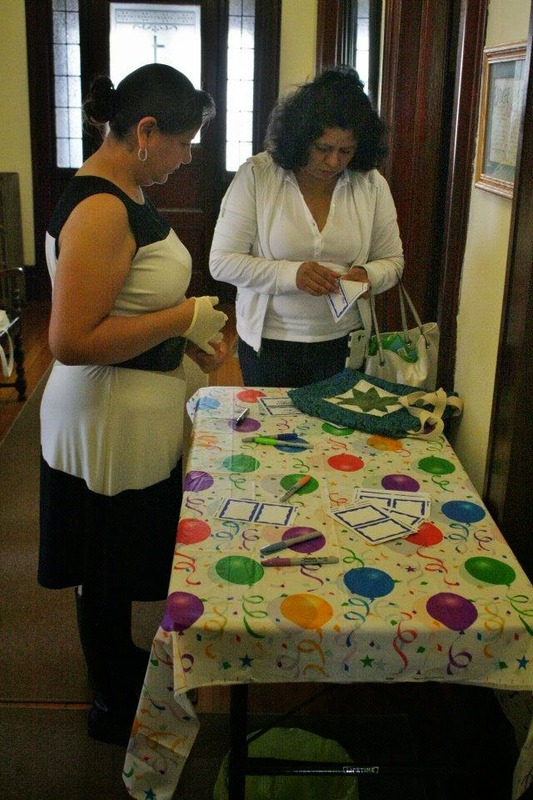 On June 28, the Passaic-Clifton District Council of Catholic Women held its final Mass and luncheon. The members invited Sister Ann Marie to attend to accept the Council's donation to the Passaic Neighborhood Center for Women. We are grateful to the Council for this donation and for its 70 years of service to the Church of Clifton and Passaic. Click here to read Cecile San Agustin's article about the ceremonies in the Beacon. Thanks to the Beacon for its great coverage of this event. 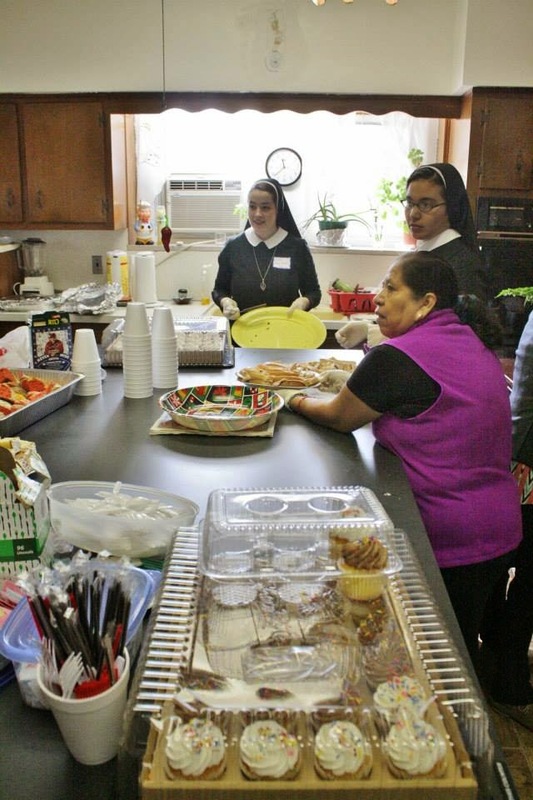 Click here to read an article about the Sisters of St. Joseph Welcome Center, now in its 11th year of serving the poor of the Kensington section of Philadelphia. 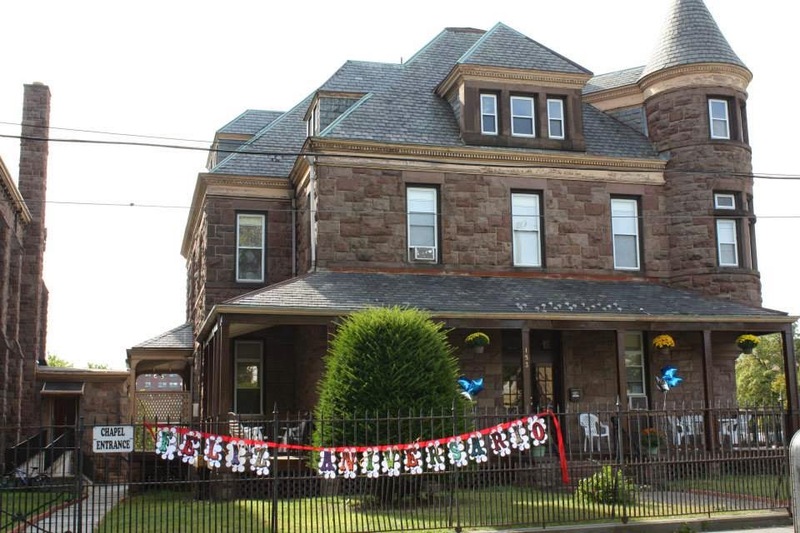 The SSJ Welcome Center and Josephine's Place in Elizabeth, NJ and the Women's Connection in Cincinnati, OH are precursors to other neighborhood centers, such as the Passaic Neighborhood Center for Women. We are grateful to these Centers for leading the way. 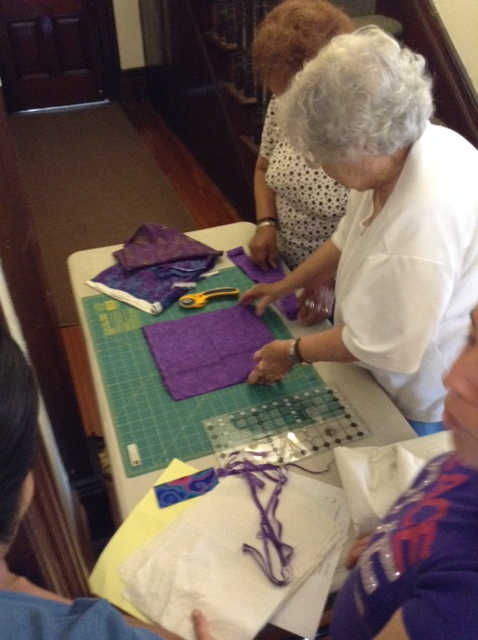 Our quilters continue to work on their "Fun in the Sun" project under the direction of Sr. Patricia Reynolds, SC. We are grateful to Jose German, a volunteer educator for City Green and owner of Sustainable Eco-Friendly Landscaping and Gardening Consulting Services, for providing our women with a gardening workshop on Saturday. Here is a photo of the workshop and one of the progress of the garden. 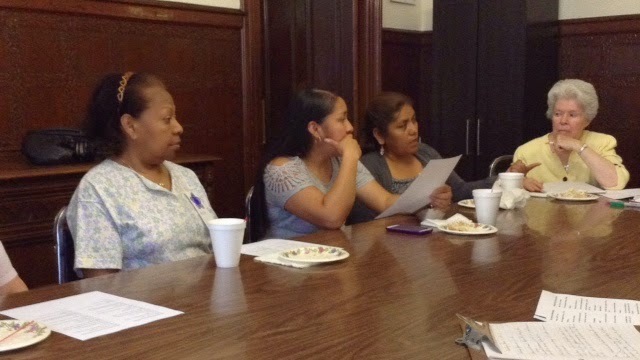 On Tuesday, Sister Elaine held the first meeting of the committee preparing our first anniversary celebration. 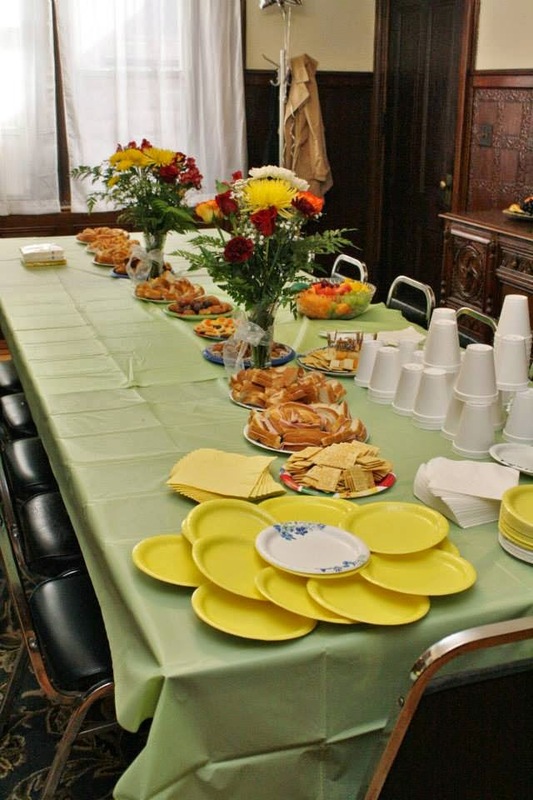 Slated to be an open house on Wednesday, September 24 from 10 am to 1 pm, it will be a simple celebration of thanksgiving for the gifts that have been bestowed upon the Passaic Neighborhood Center for Women during its first year of existence. One of the greatest of these gifts is the relationships that have been formed during this year. In this photo, you can see Sister Elaine with some of the women on the committee. We are grateful to them for giving their time and talent to this celebration.